With less then 20 days until Christmas, you may be in search of that perfect pattern to crochet a gift for a loved one or friend. I have compiled a list of quick and easy crochet patterns to help solve your Christmas dilemma. I've even made it easy and split it up into categories so you can find the perfect pattern for that special someone. 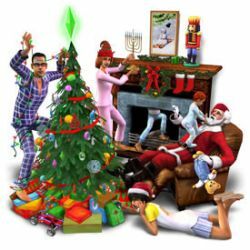 Love the semi-random Sims picture! Great quick ideas list. just to let you all know i just tried to click on the 4 hour scarf when my virus software was activated by blocking a virus. please be aware. dont how who posted this or why it was going threw an ad before you get to the pattern but this was almost a very costly click indeed!